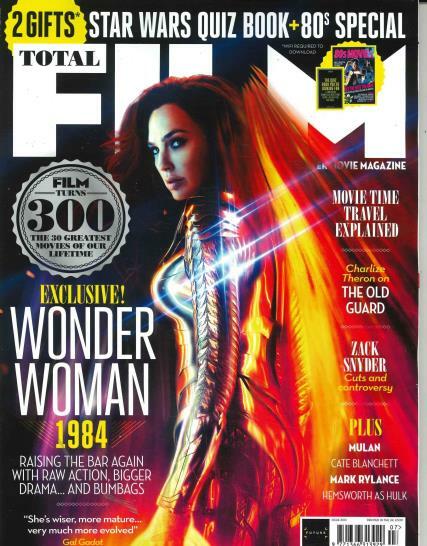 Total Film Magazine is a highly popular and very well known movie magazine, selling the second highest in Britain. Published thirteen times a year, every four weeks, the publication garners a lot of attention and analysis since its establishment in 1997. The magazine is divided into sections such as dialogue, buzz, agenda, etc. Dialogue basically is an area of interaction between the readers and Total Film Magazine. It consists of letters, opinions, emails and feedback about the magazine or any event that may have been portrayed by the publication. Buzz is the news section of the publication where details on upcoming films, photographs, on-set visits and ‘sneak peeks’ are included. Agenda in Total Film Magazine provides movie reviews for lesser known films and those that have been looked over. Many columnists also write regularly for the publication. Screen section of the periodical focuses on the min review section where every new movie for that month is critically analyzed and torn apart. With a rating of five stars and a predicted graph of its performance, the peering into the inside story is complete. A short verdict is presented by the magazine which more or less decides the fate of the specific movie. Overall, it's a very good film magazine. The best all round film magazine available. Great for new and future releases, both on the big screen and small. Well written with a good sense of humour.